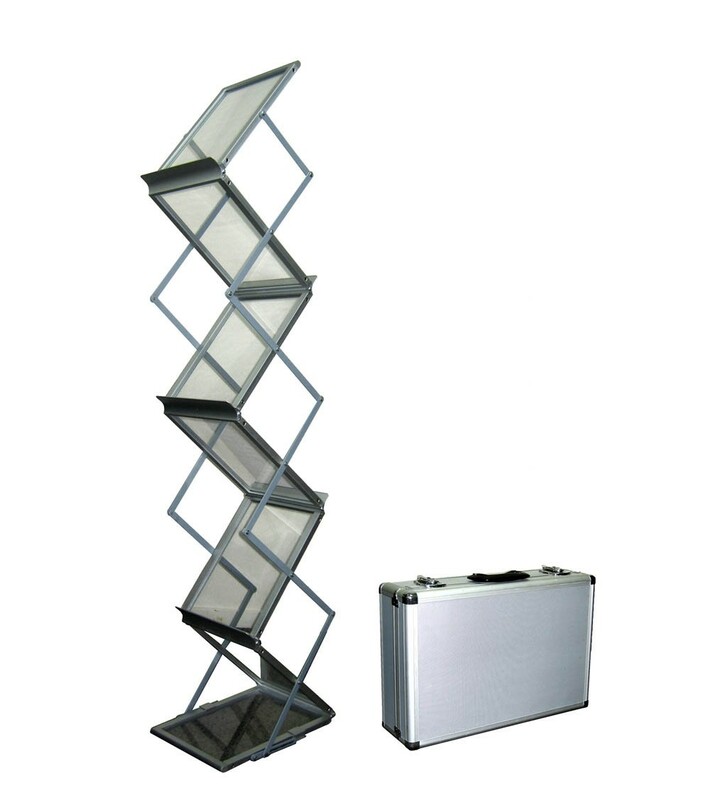 Our foldable lightweight metal magazine holders are perfect for trade shows, promotional events, or retail stores. The literature holder is every lightweight but sturdy and sets-up with ease as it unfolds. The brochure holder folds up into a small lightweight package that easily fits into the included carrying bag. When needed this magazine holder expands to full size and is ready to go in under a minute. Simply take it out of the carrying case, expand the frame up, secure safety latch and add your magazines and literature. Magazines can be displayed on either side of the holder or just use one side for a single sided display. Heavy-duty silver metal design gives the display a great professional looking design. Includes metal suitcase for added protection.